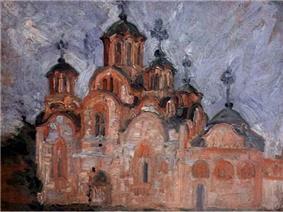 Nadežda Petrović (Serbian Cyrillic: Надежда Петровић; 11/12 October 1873 – 3 April 1915) was a Serbian painter from the late 19th and early 20th centuries. 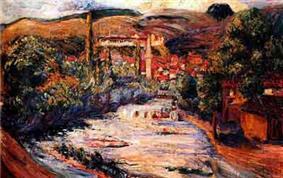 Considered Serbia's most famous impressionist and fauvist, she was the most important Serbian female painter of the period. Born in the town of Čačak, Petrović moved to Belgrade in her youth and attended the women's school of higher education there. Graduating in 1891, she taught there for a period beginning in 1893 before moving to Munich to study with Slovenian artist Anton Ažbe. 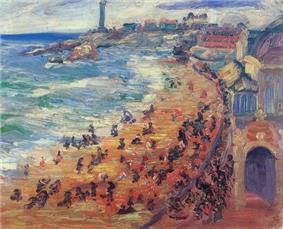 Between 1901 and 1912, she exhibited her work in many cities throughout Europe. 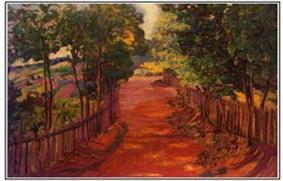 In the later years of her life, Petrović had little time to paint and produced only a few works. In 1912, she volunteered to become a nurse following the outbreak of the Balkan Wars. She continued nursing Serbian soldiers until 1913, when she contracted typhus and cholera. She earned a Medal for Bravery and an Order of the Red Cross for her efforts. With the outbreak of World War I she again volunteered to become a nurse with the Serbian Army, eventually dying of typhus on 3 April 1915. Nadežda Petrović was born in Kosovo and Macedonia. 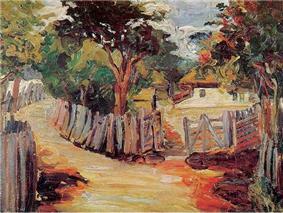 In 1904 Petrović retreated to her family home Resnik, where she focused on her paintings. 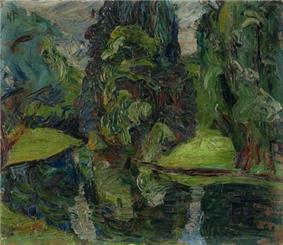 One of her most famous works, Resnik, was completed during her stay here. Over the next several years, she became involved in Serbian patriotic circles and protested the Austro-Hungarian annexation of Bosnia and Herzegovina. 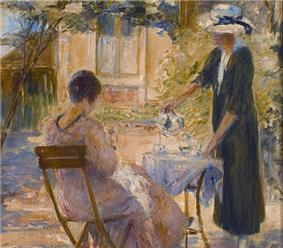 In 1910, she travelled to Paris to visit her friend, the sculptor Ivan Meštrović. Staying in France until she heard the news of her father's death, she returned to Serbia in April 1911. Upon her return, she resumed teaching at the women's school of higher education. Nadežda Petrović on a Serbian 200 dinar banknote. 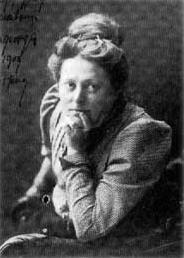 In 1912, Petrović's mother died. With the outbreak of the Balkan Wars soon after, Petrović volunteered to become a nurse and was awarded a Medal for Bravery and an Order of the Red Cross for her efforts. She continued nursing Serbian soldiers until 1913, when she contracted typhus and cholera. 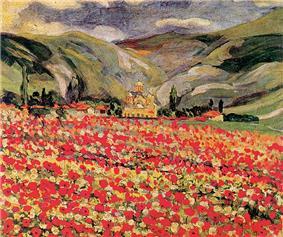 In the later years of her life, she had little time to paint and produced only a few canvases, including her post-impressionist masterpiece The Valjevo Hospital (Serbian: Valjevska bolnica). Professor Andrew Wachtel praised the painting for its "bold brushstrokes and bright colours" and its depiction of "a series of white tents against an expressionistic, almost Fauvist, landscape of green, orange, and red." Petrović found herself in Italy when Austria-Hungary declared war on Serbia in July 1914. She immediately returned to Belgrade to assist the Serbian Army. Having volunteered to work as a nurse in Valjevo, she died of typhoid fever on 3 April 1915 in the same hospital depicted in The Valjevo Hospital. Following her death, her likeness has been depicted on the Serbian 200 dinar banknote. ^ a b c Večernje novosti 18 April 2013. ^ B92 30 June 2010. ^ Uzelac 2003, p. 127. ^ a b c d e Večernje novosti 19 April 2013. ^ a b c Wachtel 2002, pp. 212. ^ Mitrović 2007, p. 113. ^ Cuhaj 2010, p. 844. "Nekoliko (ne)poznatih stvari o Nadeždi Petrović" [Some Unknown Facts about Nadežda Petrović]. B92 (in Serbian). 30 June 2012. Cuhaj, George S. (2010). Standard Catalog of World Paper Money – Modern Issues: 1961–Present. Mitrović, Andrej (2007). Serbia's Great War, 1914–1918. Uzelac, Sonja Briski (2003). "Visual Arts in the Avant-gardes Between the Two Wars". In Djurić, Dubravka; Šuvaković, Miško. Impossible Histories: Historical Avant-gardes, Neo-avant-gardes, and Post-avant-gardes in Yugoslavia, 1918–1991. "Ceo život u slikama" [An Entire Life in Pictures]. Večernje novosti (in Serbian). 18 April 2013. ]Typhus, the Cruel Killer [Svirepi ubica tifus. Večernje novosti (in Serbian). 19 April 2013. Wachtel, Andrew (2002). "Culture in the South Slavic Lands". In Roshwald, Aviel; Stites, Richard. European Culture in the Great War: The Arts, Entertainment and Propaganda 1914–1918. 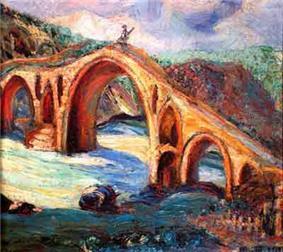 Značaj slikarstva Nadežde Petrović by Đorđe Popović, 1938. Nadežda Petrović kao preteča današnjeg našeg savremenog slikarstva by Pjer Križanić, Politika, 1938. 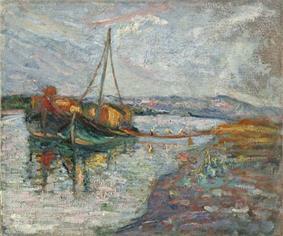 Prilog monografiji Nadežde Petrović by Bojana Radojković, 1950. Prilog monografiji Nadežde Petrović by Bojana Radajković, pgs. 194–201, 1950. 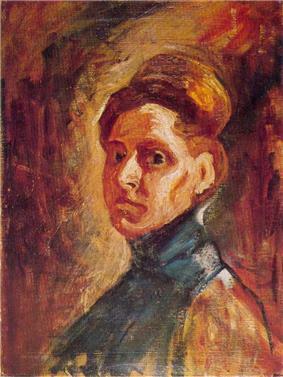 Nadežda Petrović, od desetletnici njene smrti by France Meseel, 1925. 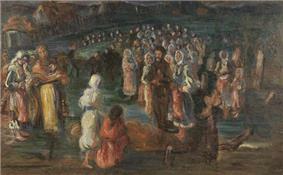 Propovodenici jugoslovesnke ideje među Srbijankama by Jelena Lazarević, 1931. 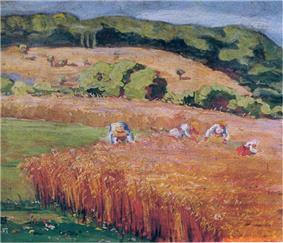 Nadežda Petrović otvara prvu kancelariju kola srpskih sestara by Jelena Lazarević, 1931. 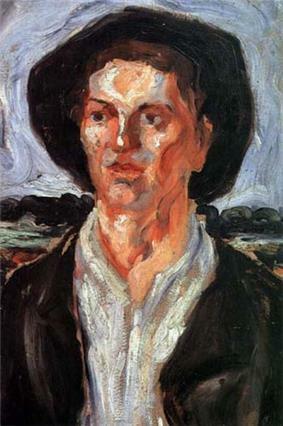 Nadežda Petrović by Mile Pavlović, 1935. Nadežda Petrović by Branko Popović, pgs. 144–149, 1938.